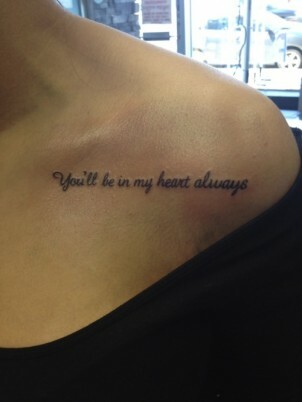 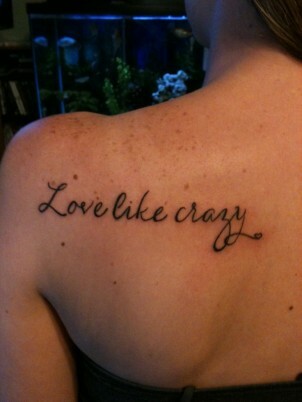 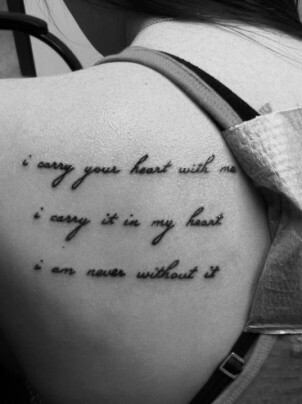 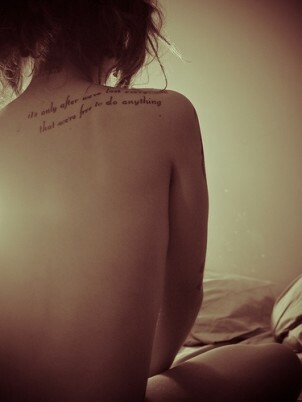 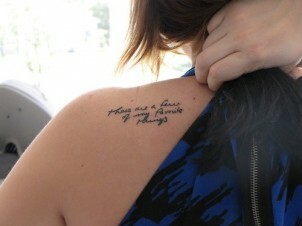 “Love like crazy” quote tattoo inked on this girls shoulder in a very long vertical black cursive handwriting font. 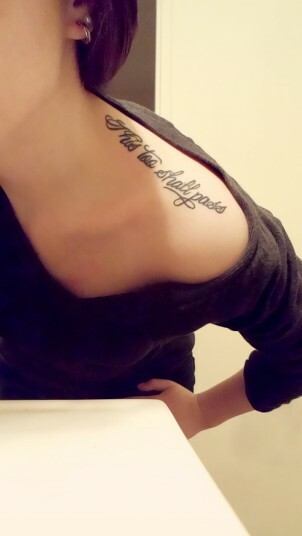 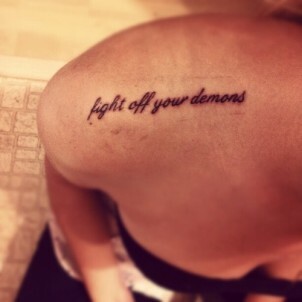 “Fight off your demons” small quote tattoo on a girls shoulder in a nice cursive handwriting font. 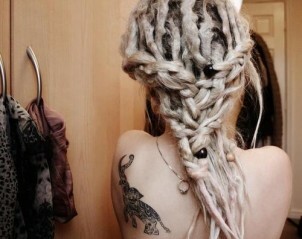 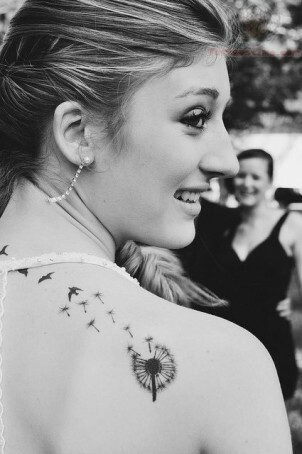 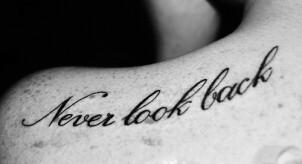 “Never look back” quote tattoo on girls left shoulder written in a black fancy cursive font. 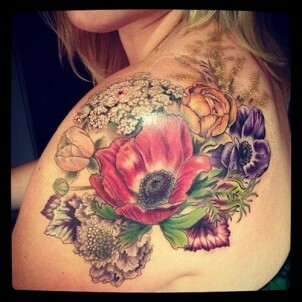 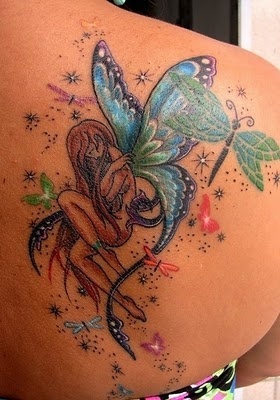 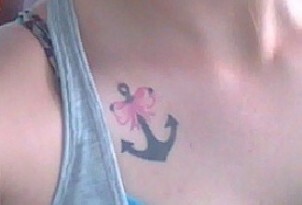 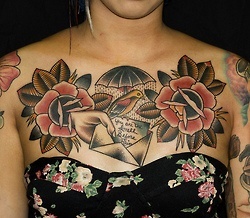 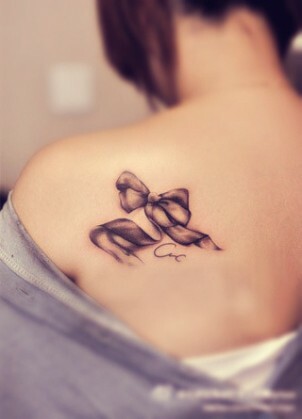 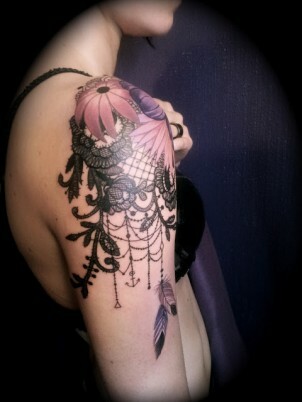 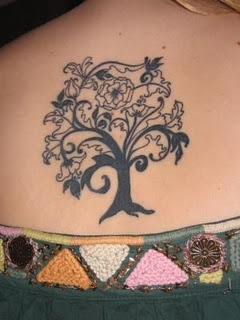 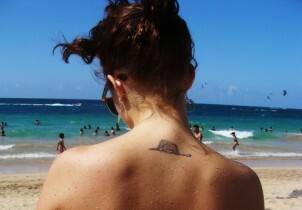 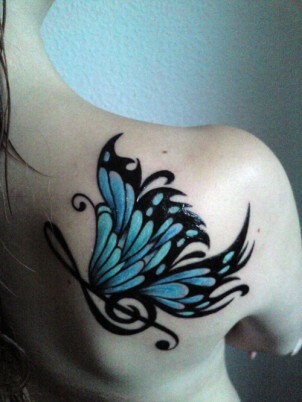 Little red, black, and white swallow tattoo on the right arm / shoulder of this girl. 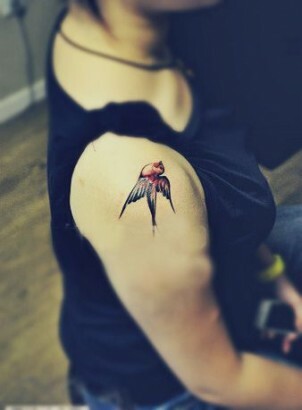 The swallow is facing upward and in flight.